A long time ago, in a galaxy far, far away…Twenty-two years ago, these words first flashed across movie theater screens around the world, and a modern legend was born. Hundreds of millions of people would be introduced to a saga that would touch their lives in ways then unimaginable. Star Wars, The Empire Strikes Back and Return of the Jedi, and the Special Editions of all three films, became defining events for two generations. The fast-paced action adventures, set in a new and exciting universe, featured grand design and boundless fun. The films inspired countless of viewers with themes that are universal and timeless: the conflict between good and evil and between technology and humanity, the celebration of heroism, and the limitless potential of the individual. Now, with “Star Wars: Episode I The Phantom Menace” converted into 3D, Lucas takes us back to the beginning, in which Darth Vader is a hopeful nine-year-old boy named Anakin Skywalker and Obi-Wan Kenobi is a determined young Jedi knight. This first chapter, which is rich in art, design, costumes, architecture and technology, follows Anakin’s journey as he pursues his dreams and confronts his fears in the midst of a galaxy in turmoil. George Lucas, the pioneering and brilliant filmmaker behind STAR WARS, has overseen the process with his renowned attention to detail. John Knoll, the visual effects supervisor for Lucasfilm's Industrial Light & Magic (ILM) was responsible for the actual conversion. He served as Visual Effects Supervisor on all three of the Star Wars prequels. The remaining five STAR WARS films will be converted to 3D over the coming years. “I'm really excited about the new big screen release of the film. We’ve worked very hard to get the best quality 3D we could. The big screen experience is so much better than watching it on television. It was designed to put you in the environment and surround you with the sound and the picture. There is nothing like it. I'm so glad that we were able to bring this whole experience to the next generation. This will be the third generation that will be able to see it on the big screen and when you're young, it’s an overwhelming and powerful event,” Lucas shares on converting Episode 1 into 3D. “I don’t like things coming out into the audience. I like everything to be behind the proscenium. I think 3D is an art. You need artists who have a sensibility about where things fit in the frame. It's very subtle but it’s very, very important. We had an advantage because we had experts in visual effects like John Knoll. We had the skill set of ILM (Industrial Light & Magic) and people who had worked in 3D on films, including “Avatar.” So we could get a group of people together that could actually do this,” concludes Lucas. 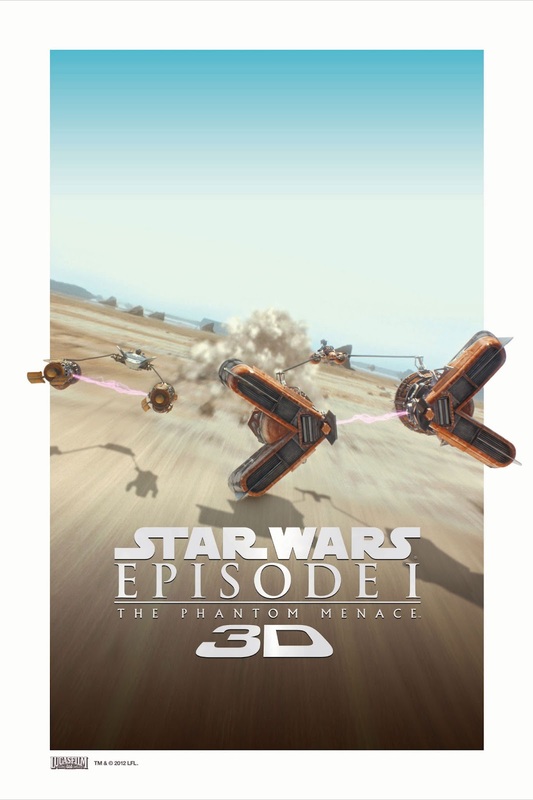 “Star Wars Episode 1 The Phantom Menace” in 3D comes to theaters on February 9 from 20th Century Fox to be distributed by Warner Bros.